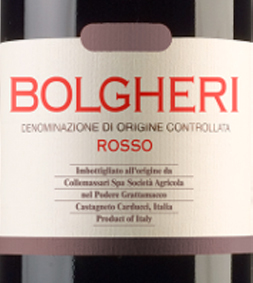 The Grattamacco Bolgheri Rosso DOC by ColleMassari borns from a 10-hectare vineyard set at 100 meters above sea level and is left to ferment in tapered trunks of open trunks and steel tins. The ripening continues for about 10 months in barriques before a further aging in the bottle. A classic to enjoy every day. THE FAMILY The sister and brother Maria Iris and Claudio Tipa, who have always shared their passion for nature and great wines, fulfilled their dream creating a “Domaine” in Tuscany.The ColleMassari Domaine comprises today three estates: from 1998 Castello di ColleMassari, Grattamacco since 2002 and the Poggio di Sotto Estate since 2011. THE ESTATE The agricultural estate is run according to the criteria of organic farming, guaranteed and certified by ICEA. Castello ColleMassari Was founded in 1998 and is part of the Montecucco DOC area in Upper Maremma, a territory which is ideal for the growing of Sangiovese, and situated between the DOCG areas of Brunello di Montalcino and Morellino di Scansano.The first vintage produced was 2000. The estate of Castello ColleMassari is situated in the foothills of Mount Amiata, at 320 m asl and oriented towards the Tyrrhenian coast. It enjoys a very favourable microclimate of consistent ventilation and strong thermal excursions. The farm extends over some 1,200 hectares, with 110 hectares of vineyards, 60 of olive groves and 400 hectares of mixed crop. The remaining area is woodlands and the whole farm is surrounded by a state forest covering some 1,200 hectares. In the steep and hilly vineyards with an average fifteen percent incline, vines are trained to Cordone speronato, or, alternatively, to Doppio Guyot and bring about yields around 6 tons per hectare. During the harvest, great care is taken in selecting the grapes, first on a vibrating table and secondly on a tapis roulant Grattamacco Was founded at the end of the 70’s in the DOC area of Bolgheri where the growing of Cabernet Sauvignon in this particular region gained great popularity.The first vintage produced was 1982 as a result of blending Cabernet Sauvignon with Merlot and Sangiovese. Grattamacco was founded in 1977. The estate is situated on top of a hill facing the sea between Castagneto Carducci and Bolgheri at 100 m asl. The area is particularly dedicated to the production of great wines and enjoys a dry climate with consistent thermal excursions at the end of the summer. The estate extends over an area of about 50 hectares, of which 25 are vineyards and 5 are olive groves. The remaining area is forest and borders into a vast area of woodlands covering some 1,600 hectares. In the steep and hilly vineyards, with an average eight percent incline, wines are trained to Cordone speronato, to Guyot and to Alberello with yields of around 6 to 7 tons per hectare.The average age of the vineyards is about 25 years Poggio di Sotto Founded at the end of the 80’s and situated in the territory of Montalcino, first DOCG in Italy, and home of the famous Brunello.The first vintage produced was the 1991 harvest and within a short time the winery distinguished itself for its wines of great elegance and complexity. Fattoria Poggio di Sotto was founded in 1989 on the south-east side of Montalcino, considered one of the best areas for the growing of Sangiovese. The property extends over some 44 hectares, 16 of which are planted with Sangiovese vines all registered in the Brunello di Montalcino appellation, 4 ha. with olive groves (1.400 trees) and the residual surface with forest. The vineyards gradually vary from 200 mt to 400 mt above sea level with steep slopes. The altitude, along with the protection of the ancient volcano Monte Amiata on one side and the Orcia river combined with sea breezes from the other, result in a unique microclimate allowing beneficial thermal excursions between day and night time even in very hot summers. In the steep vineyards, with an average ten percent slope the vines are cordon trained with a very low yield of about 3 to 3.5 tons per hectare due to a series of very strict cluster selections and thinning during the growing season. Before 24,00 € tax incl. 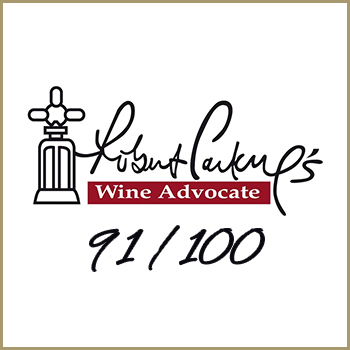 Tasting Color: dark ruby red Bouquet: fruity and balmy notes, pepati and minerals notes. Taste: fresh and savory, with a sweet and full tannic balance, complex and aromatic finish. The sister and brother Maria Iris and Claudio Tipa, who have always shared their passion for nature and great wines, fulfilled their dream creating a “Domaine” in Tuscany.The ColleMassari Domaine comprises today three estates: from 1998 Castello di ColleMassari, Grattamacco since 2002 and the Poggio di Sotto Estate since 2011. 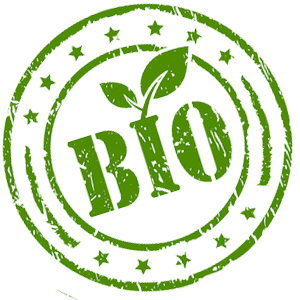 The agricultural estate is run according to the criteria of organic farming, guaranteed and certified by ICEA. Was founded in 1998 and is part of the Montecucco DOC area in Upper Maremma, a territory which is ideal for the growing of Sangiovese, and situated between the DOCG areas of Brunello di Montalcino and Morellino di Scansano.The first vintage produced was 2000. The estate of Castello ColleMassari is situated in the foothills of Mount Amiata, at 320 m asl and oriented towards the Tyrrhenian coast. It enjoys a very favourable microclimate of consistent ventilation and strong thermal excursions. The farm extends over some 1,200 hectares, with 110 hectares of vineyards, 60 of olive groves and 400 hectares of mixed crop. The remaining area is woodlands and the whole farm is surrounded by a state forest covering some 1,200 hectares. In the steep and hilly vineyards with an average fifteen percent incline, vines are trained to Cordone speronato, or, alternatively, to Doppio Guyot and bring about yields around 6 tons per hectare. 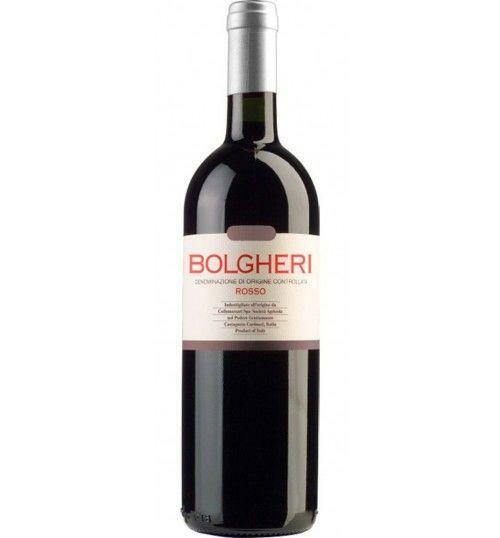 Was founded at the end of the 70’s in the DOC area of Bolgheri where the growing of Cabernet Sauvignon in this particular region gained great popularity.The first vintage produced was 1982 as a result of blending Cabernet Sauvignon with Merlot and Sangiovese. Grattamacco was founded in 1977. The estate is situated on top of a hill facing the sea between Castagneto Carducci and Bolgheri at 100 m asl. The area is particularly dedicated to the production of great wines and enjoys a dry climate with consistent thermal excursions at the end of the summer. The estate extends over an area of about 50 hectares, of which 25 are vineyards and 5 are olive groves. The remaining area is forest and borders into a vast area of woodlands covering some 1,600 hectares. Founded at the end of the 80’s and situated in the territory of Montalcino, first DOCG in Italy, and home of the famous Brunello.The first vintage produced was the 1991 harvest and within a short time the winery distinguished itself for its wines of great elegance and complexity. The property extends over some 44 hectares, 16 of which are planted with Sangiovese vines all registered in the Brunello di Montalcino appellation, 4 ha. with olive groves (1.400 trees) and the residual surface with forest. The vineyards gradually vary from 200 mt to 400 mt above sea level with steep slopes.